- variable engagement with patients and parents. 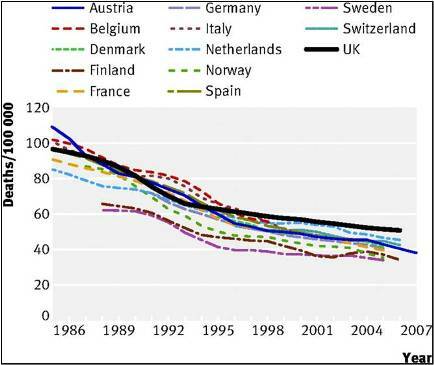 Part of the solution is looking at what others do better - what has Austria done to deliver such a significant improvement, what is Sweden doing so well, so consistently, and do these improvements deliver better outcomes? Learning what works well elsewhere and teaching what works well here is central to quality improvement and a key driver behind the Situation Awareness for Everyone (S.A.F.E) Programme. What is situation awareness in healthcare and how does the S.A.F.E Programme fit in with this? Key to delivering safe care to patients is having as much information as possible in order to make the right clinical decisions. Situation awareness is having all of this information for any given situation, with the aim of bringing in multiple perspectives such as consultants, registrars, nurses, porters, or patients and their families, who each have a different piece of the puzzle. To be situationally aware is to bring all of these pieces together and fully understand the situation, allowing clinical teams to take the right decisions. S.A.F.E is all about improving communication - both within clinical teams and between clinical teams and patients and their families. The aim of the programme is two-fold: firstly, to provide an evidence base to support the concept that improved situation awareness leads to improved outcomes for paediatric patients in acute settings; and secondly, to support the spread of improved situation awareness by providing a suite of tools that hospitals can use to improve it locally. Twelve sites are participating in S.A.F.E - six specialist children’s and six district general hospitals - each with between one and three wards taking part providing a wide variety of unit types and various local and contextual differences. The programme uses the Institute for Healthcare Improvement (IHI) Breakthrough Series Collaborative model, bringing the twelve sites together for learning sessions roughly every other month. Between these learning sessions, the central team will visit sites and provide any further support requested. As the programme progresses, each site will share their learning and experience with the other sites, as well as with people external to the programme who are interested. The programme also has an embedded evaluation team from the Anna Freud Centre who will be undertaking both a quantitative and qualitative evaluation of the programme. An exciting aspect of the programme is the involvement of both specialist children’s and district general hospitals. Studies to date focused on the former, but there has been little work on translating this to acute settings where there isn’t the level of resource devoted to paediatric care. Not only does S.A.F.E provide an opportunity to better understand this relationship, but it also allows the development of a suite of tools that is flexible enough for use in both settings. Central to the S.A.F.E Programme is the introduction of the ‘huddle’. This is based on work on situation awareness and safety at Cincinnati Children’s Hospital Medical Center, where the huddle is a key intervention. The huddle is a short, free, frank exchange of information between those involved in a patient’s care, to encourage information sharing and prevent unnecessary or unrecognised deterioration and delays in care. More importantly, parents and patients can be part of the huddle, as they will have information that is essential to the decision making process. Participating sites are refining various aspects of the huddle - including attendance, timing, and scripting - to develop a huddle that suits local requirements. These all contribute to the suite of tools by demonstrating what works and what doesn’t in different types of units, with different local contexts. So far there have been two learning sets, with site visits in between and already there has been great progress across the sites. While they may not be able to demonstrate improvements yet, it is clear that not only is there great enthusiasm for the programme, but that the sites bring with them huge numbers of ideas. Some of these are simple, such as the sites that have very visible information about the huddles, including huddle points and ‘eye’ indicators for patients they feel need to be watched closely, while others suggested at a recent learning session are more outlandish as a means of starting important conversations - safety paintball is a personal favourite. This involves nursing and medical teams wearing white, while patients and parents use small powder paintballs to mark staff about the safety of their care, using a colour coded system. There is still a long way to go with the programme, and we can’t prejudge the outcomes in terms of if improved situation awareness improves outcomes for paediatric patients in acute settings. Over the next 18 months, the programme will take the learning and experiences of the sites and develop the suite of tools for improving situation awareness. S.A.F.E is part of the Health Foundation’s Closing the Gap in Patient Safety Programme. The Health Foundation is an independent charity working to improve the quality of healthcare in the UK. It is also supported by WellChild, the UK national charity for sick children. The S.A.F.E partnership is made up of the Royal College of Paediatrics and Child Health, Great Ormond Street Hospital, the Anna Freud Centre, and UCLPartners.